If you are on the hunt for the underserved niche of furniture for tall people then this collection of ideas might be your perfect source. Have you ever felt like Will Ferrell’s character in the movie “Elf”? If you did, you’re one of those blessed, or cursed, with a good few additional inches on the rest of the population. We’re sure you’ve had your share of “I’d love to be as tall”-envy, of “You must be playing basketball!”-annoyance, and -of course- of the oh-so-funny “How’s the weather up there?”-questions. And have found ways to deal with it. A lot harder to ignore, and probably very much more frustrating, is the ever-present problem of simply living the life of a tall person – having to bend double to do the most common chores, constantly banging your knees against too low tabletops, drawers, or the seats in the row in front of you, putting up with night after night of uncomfortable sleep in beds designed for smaller people, and of course the random head-bumping you engage in whenever there’s a too low door-frame, questionably placed shelves, or arbitrary hung lamps. We know that having these much-coveted extra inches can be a real pain in everyday life! But lucky for you, there are a few simple ideas on how to work around some of these difficulties that don’t come at the price of having your furniture custom built! We’ve collected some of those furniture ideas for tall people for you, and hope our list serves as inspiration to make your life more comfortable! Let’s start at the very heart of every home – the kitchen. Low sinks and appliances that have you constantly bent over not only are the source for lasting back pain, but also cause chores that really are not fun in the first place to be even less so. Deep kitchen sinks are all the rage these days. And while this trend definitely helps to minimise splashing and maximise the amount of dishes you can leave to soak at one time, it is hell for tall people. To combat the need to constantly bend your knees to reach those pesky forks and plates that hide away at the very bottom, go for a shallow sink instead. It might not seem like that alone would make much of a difference, but by choosing a shallow bowel you can easily save 5 or more inches. When combined with a sink-design that has the bowl on top of the counter instead of sunken into it, you’ll gain a good amount of elevation that makes your back a lot more comfortable. You can add extra comfort to your washing-up by choosing a tall faucet, that allows for rinsing in a comfortable position and gives you enough room to manoeuvre beneath and around it. Things like bending down to check on your turkey, or to keep an eye on those yummy soufflés are hell on your back. Loading the dishwasher, not the most coveted of household chores on a normal day, can become veritable torture after a long day at work or chasing around after the kids. 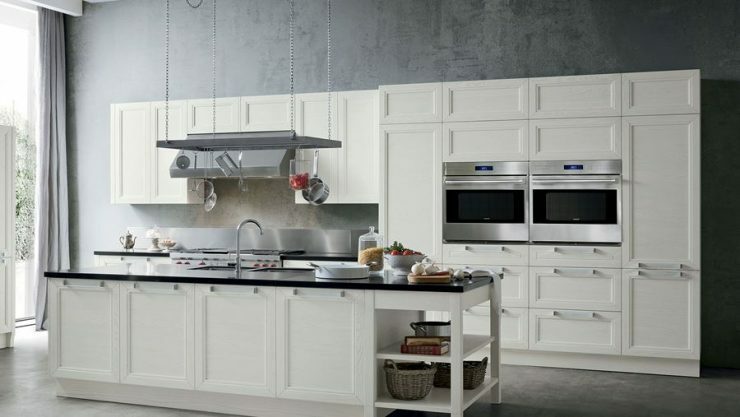 Try to opt for wall-mounted, shelved, or table-top appliances whenever possible. There’s a wealth of wall-mounted oven systems available, many of those coming with handy extras like warming drawers or grills. Microwaves, toasters and coffee makers feel at home on a conveniently placed shelf just as much as they do on their more usual places on the kitchen counter. And there are also a few types of dishwashers available that can be installed on top of the counter instead of hidden away beneath. Save yourself space and the need to constantly hunch over by investing into a tall kitchen island that doubles as breakfast bar. In contrast to regular islands, one that serves as a breakfast bar as well, tends to come with two benefits: the work-surface is more elevated, making food-preparation and the quick coffee for the much-needed energy boost a lot more comfortable for tall people, and the leg room that allows to sit down without your knees banging against drawers, the wine-cooler, and whatever else regular kitchen islands hide underneath their countertop. Invest in good quality, comfortable bar stools that allow for more than just quickly wolfing down a slice of toast in the morning or guzzling a quick drink before dinner is served, and the kitchen island will quickly become your most favourite spot to hang out. The living room seems to be a rather straight forward place, right? At first glance there shouldn’t be too many pieces of furniture that don’t work equally well for short, average sized, or tall people. Sadly, that’s not always the case. 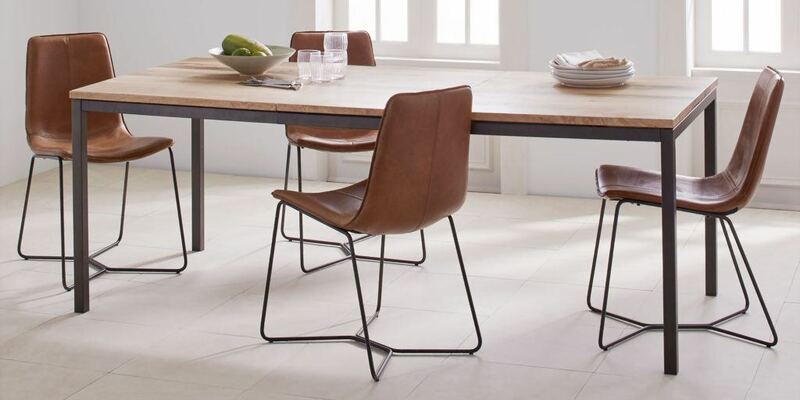 Too low couches and chairs can be a pain to fold yourself out of, dining tables come with a huge potential for acquiring a wealth of bruises, and some staple features of modern interior design can make moving around a real challenge. It should go without saying that tiny love-seats or traditional varieties like the Victorian or a camelback sofa most likely won’t seat a tall person comfortably. Small, enclosed couch varieties along with too narrow seats are a no-go. Yet, sofas with too much padding can be equally problematic. There are some, much beloved, sofas that are intent on swallowing everyone reclining in them up – it’s hard enough to peel yourself out of the depth of those cushions when you’re average sized, with a handful of additional inches working against you, deep cushions can quickly become a real nightmare. The best option for tall people is a sectional sofa. They usually come with rather wide seats in the first place, and have the added bonus of allowing to combine the individual sections in a way that makes them most comfortable for you. You’re looking for a sofa that allows for you to stretch out and have a leisurely nap? Just set it up in a way that allows for you to lie down fully. You like to have your legs propped up while watching TV? Invest in a chaise lounge add-on. You won’t regret it! If you don’t have the room to spare to house a sprawling sofa, but want to kick back and comfortably relax after a long day, a recliner might be the alternative coming to mind first. 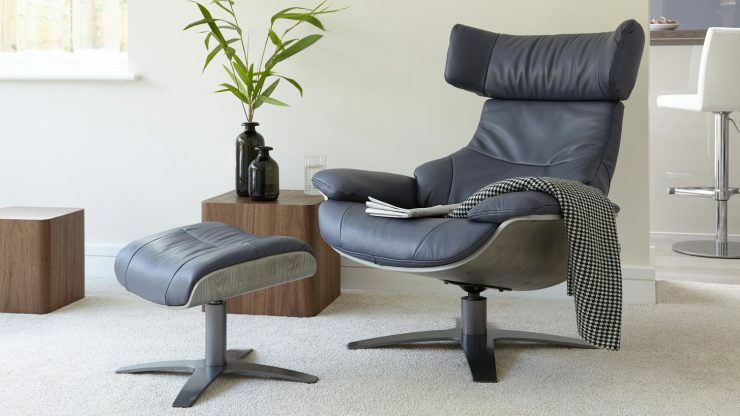 As a tall person, going for the jack-of-all-trades recliner that comes with a reclining back, invisible “hands” that knead your back, a cup holder, storage for magazines and remotes, and an incorporated, extending lower part that props your legs up probably won’t be a satisfactory experience. Chances are that you’ll end up with your head and legs sticking out at odd angles on both ends and the massage rollers digging into your kidneys at best. Opt for the no-nonsense option instead and go for a traditional recliner and a foot stool. Choose one with a deep seat and high back and you’ll be able to comfortably while away hours. Should you dig a built-in footrest instead of a footstool, you should consider the option of a traditional chaise lounge. 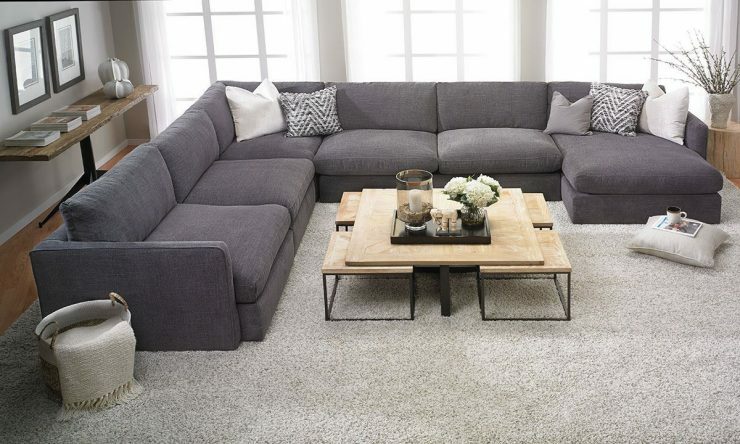 Not only do they look stylish, they offer the perfect mixture of bench-seat and recliner, doubling as extra seating space if you have a large group of friends over. When it comes to a dinner table, going as basic as possible is your best bet. If the table comes without any bells and whistles, has four legs, and is as big as possible, then it is yours! Hidden drawers, ornate legs, a pedestal, and crossbars can be hard to navigate without banging your knees for average sized people, and are plain hell for tall family members. Generally speaking, you will want to look for something that gives you a lot of leg-room. There’s nothing more annoying than constantly knocking into someone else’s legs or the table itself with every slight change of posture. When it comes to chairs, go for something comfortable, ideally with ample room to tuck your legs underneath if you tend to sit with your legs close to your body instead of stretched out, and give any bench-seating options a wide berth! Do yourself a favour and go for ceiling fixed light features. Low hanging lights may be all the rage, but for tall people they actually induce rage. There really is nothing more annoying than banging your forehead against a lovingly sculptured mass of plastic, wood, or -worst case- metal while you’re navigating a room. Your head may be flying high in the clouds thanks to the good conversation and company you’re enjoying, but you really don’t need the reminder that you actually have your head higher up than those around you. Particularly not in your own home. If you love the look of low hanging lights, then we’d suggest settling for one centrepiece that’s fixed above a part of your home you’re fairly unlikely to move around – for example, a hanging chandelier mounted over the nook that holds your dinner table, or a modern creation suspended over your kitchen island. You’re lucky enough to be able to work from the comfort of your home – at least part time? Or you need a dedicated space to study or get your household budget straightened and the bills dealt with? Then you probably have either a whole room dedicated to be your work space, or have part of your home reserved to house your desk and office chair. And while shopping for these things is a rather straightforward endeavour in principle, finding suitable furniture for tall people can quickly become a challenge. And once your start trading in comfort in face of the temptation to just take something that fits my legs, you’re most likely already way past the point of considering that you actually want to spend hours of your life with this piece of furniture without doing lasting damage to your posture, joints, and back. There are, however, a few variations of classic office furniture readily available that offer both practicality and comfort for a reasonable price and can be bought off the rack in most furniture stores. The simplest solution to your problems? Get a standing desk! Sounds uncomfortable? It really isn’t! Particularly since we’re proposing to use the standing table a little different than the inventors intended it to be used. 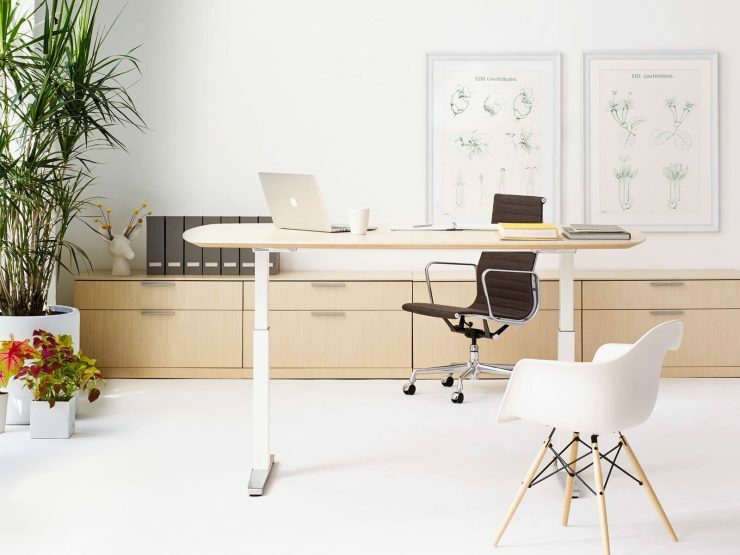 We realise that even standing desks often will be too short for you to comfortable use while standing up (though there is an astonishing variety out there that can be elevated to fit most heights! So if you want a standing desks to use as standing desk, there is no holding you back!). That’s why we suggest settling for a convertible desk that can be raised or lowered between regular and standing desk as needed. This way you can fix the desk at a height that is most comfortable for you. 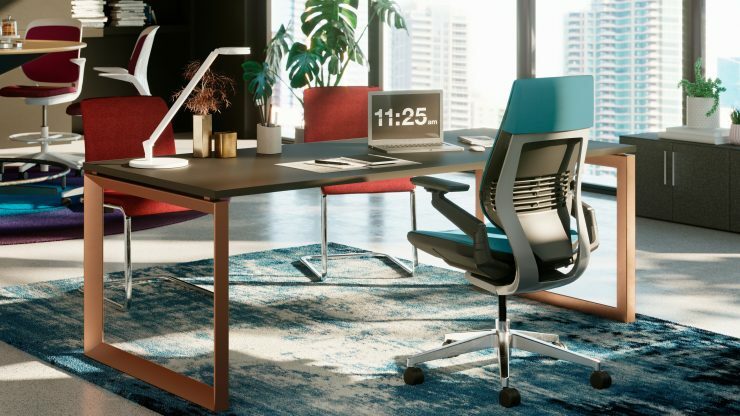 Since most of the office chairs on the market do come with a lot of adjustable features, and nearly all of them are height-adjustable at the very least, finding a chair that fits your needs and allows you to sit comfortably shouldn’t be too much of a challenge. However, there is one thing that you should absolutely take into consideration before settling for a chair: its back! You will want to settle for a chair that has a very high back, allowing you to lean back comfortably and offering good support on all the right places! There is one thing people of all sized can agree on: there is nothing worse than a shower that has you twisting, crouching, and bending to get the water all over your body, and, most importantly, your head. For tall people this can quickly become a real challenge, even in bathrooms that seem pretty sizeable for everyone else. The good news is that there are a few handy tricks that can upgrade even an already built-in shower that is just too small for you to comfortably use. Other areas that may be uncomfortable to use around regular-sized bathrooms are vanities, and toilets, amongst others, but there, too, are a few tricks that can make your life easier. 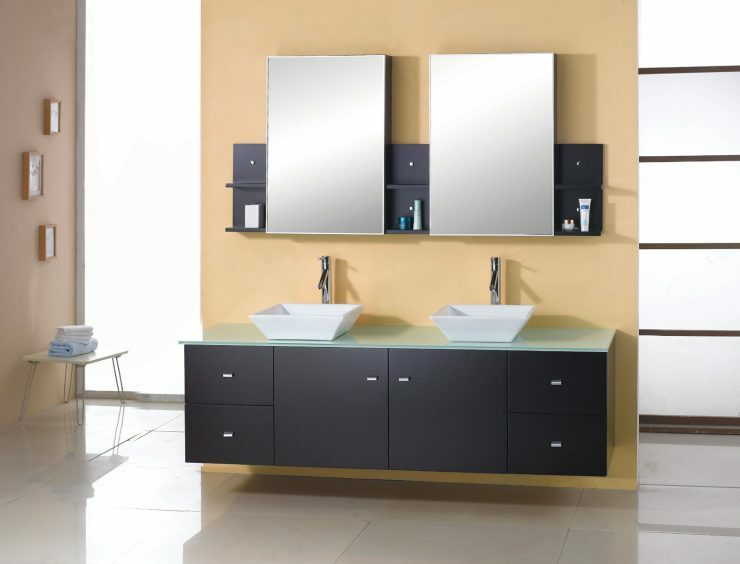 Install a wall-mounted vanity at a height that hasn’t you bend double while brushing your teeth. Combined with washbasins that are located on top of the counter instead of sunken into it, this will make life a lot more comfortable. Additionally, you should think about investing in a mirror – shelf combo that allows you to keep those products you use on a daily basis in easy reach to cut back the time you need to crouch over drawers or in front of cupboards. You probably won’t be able to see it in the picture above, but once you sit down on a comfort height toilet for the first time, you will notice the difference! 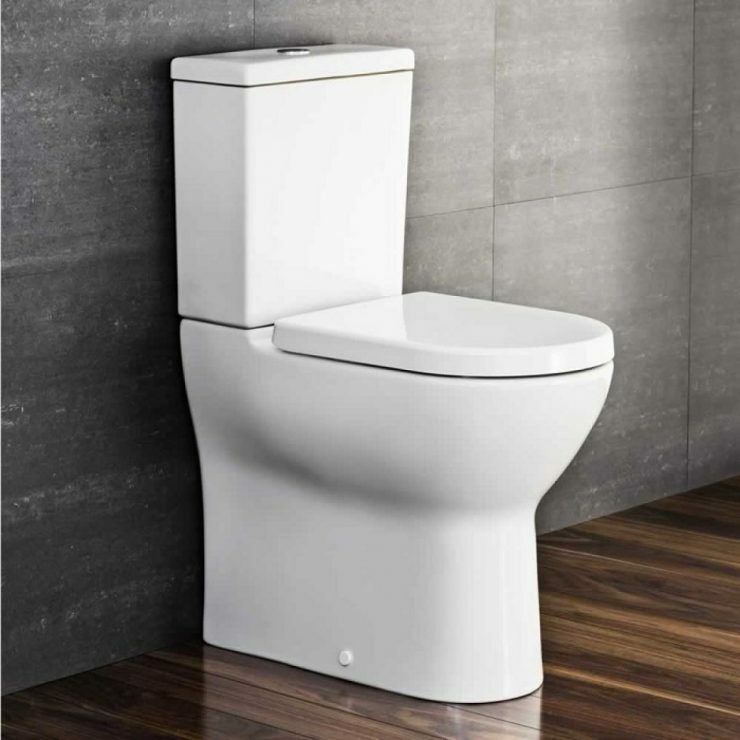 A comfort height toilet is, depending on manufacturer, somewhere between 2 and 4 inches taller than an ordinary toilet, thus making it a lot more comfortable to use for tall people. There is nothing worse than having to bend over to rinse your hair, or even to just comfortably get your shoulders wet. 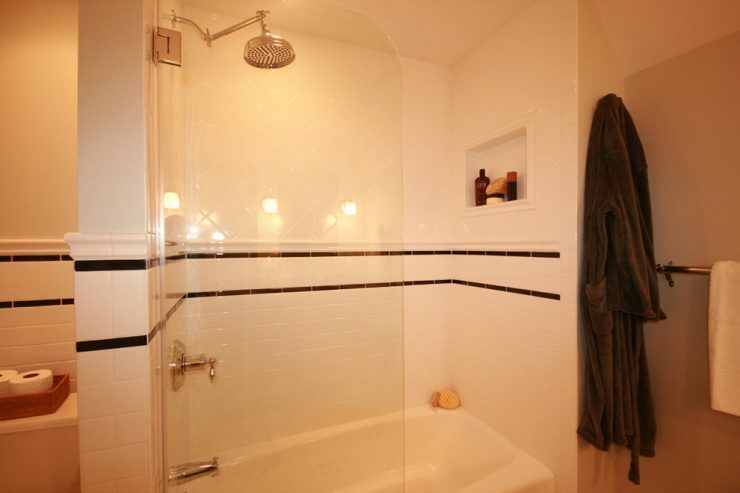 Use an adjustable shower arm to gain those additional inches needed to make a pre-installed shower head suit your needs! As a guide for which size of extension you will want to be looking for, keep in mind that the shower head should be located approximately 6 inches above your head for maximum comfort. 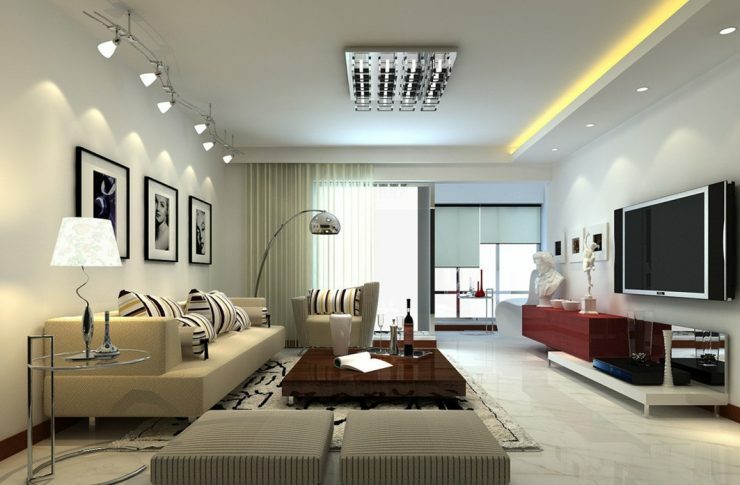 Generally speaking, everything we have mentioned above is applicable for your bedroom as well: avoid low hanging lighting fixtures; chose comfortable seating with cushions that won’t eat you alive, and if possible invest in a chaise lounge for comfortably lazing around or reading; try to wall-mount everything that can be wall-mounted to avoid having to unnecessary twist and bend. There is one thing unique needing special consideration in the bedroom that we haven’t touched upon before: the bed. It should go without saying that low beds, like futon beds for example, are a no-go for tall people. To make getting up in the morning a lot more comfortable (because let’s face it, plopping down in the evening hardly ever is a problem, even if it means literally letting yourself fall forward and be done with it), you should be on the lookout for elevated beds like platform and boxspring beds, or both. Apart from that, the choice of type of bed is all up to you. Whether you prefer something modern, or a very classic four-poster, most types are available as platform variations these days.